In communities all over America, the courthouse serves a crucial role. People come to court to pay traffic tickets, obtain child support orders, and seek back pay. It’s also where criminal defendants are held accountable for their actions, witnesses are summoned to testify, and victims of domestic violence seek protection. Unfortunately, the Trump Administration has wrongly attempted to exploit this trust by sending agents from Immigration and Customs Enforcement (ICE) to courthouses all over the country to target noncitizen crime victims and witnesses for immigration detention and deportation. In Washington, ICE agents have been reported in or around courthouses in seven counties: Clark, Clallam, Cowlitz, Skagit, Mason, King and Chelan. 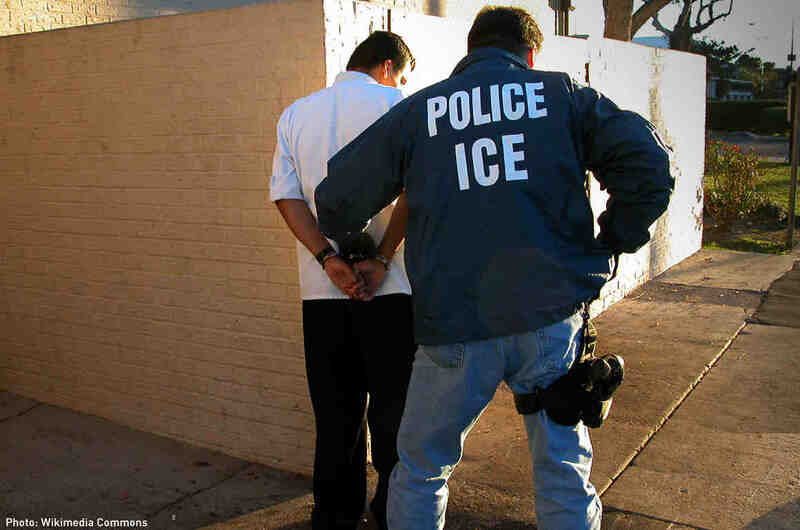 Attorney General Jeff Sessions and Department of Homeland Security Secretary John J. Kelly have stated a preference for ICE enforcement in courthouses, claiming that it is safer for ICE agents. This unprecedented practice jeopardizes public safety and diminishes our justice system, which is why the organization that licenses Washington’s 35,000 lawyers is speaking out against it. This month, the Washington State Bar Association (WSBA) became the first statewide bar association in the nation to formally oppose the increased presence of ICE agents at courthouses. The WSBA’s ten Board of Governors—comprised of lawyers from across the state and the political spectrum—voted unanimously in support of ensuring open and equal access to courthouses. Justice isn’t served when victims of domestic violence are deterred from seeking from the protection they need because they fear being staked out by immigration officers. No one is safer when the possibility of ICE agents at courthouses keeps witnesses of crimes from coming to court to share their testimony. In spite of these facts, actions by ICE at courthouses around the country have given immigrants good reason to fear. In El Paso County, Texas, ICE agents arrested a domestic violence survivor after she appeared in County Court to obtain a restraining order against her abusive ex-boyfriend. County officials believe that it was her abuser who notified DHS of her hearing date. In Denver, the City Attorney dismissed prosecutions against suspects in four separate domestic violence cases because the women who reported being abused are all undocumented, and feared ICE might learn of their location through a court docket or send agents to the courthouse when they appeared to testify. When any individual in a community is too scared to a report crime or interact with the justice system, crimes go unsolved, the perpetrators are never brought to justice, and everyone is less safe. This cycle of fear, mistrust, and isolation undermines the very foundations of our justice system. “The fear of apprehension by immigration officials deters individuals from accessing our courthouses and erodes the trust that our courts have worked diligently to earn and maintain, even for those with lawful immigration status,” the WSBA’s letter states. The WSBA asked DHS to add courthouses to its list of “sensitive locations,” which include schools, health care facilities, and places of worship. Per ICE policy, enforcement actions cannot take place at sensitive locations unless certain conditions exist. These include extreme circumstances, the involvement of other law enforcement agencies, or prior agency approval. ACLU-WA Police Practices and Immigrant Counsel Enoka Herat said she expects more legal professionals to add their voices to the resistance. Lawyers, in particular, recognize that denying some individuals access to the courthouse brings disastrous consequences for all. “When the government has the power to deny legal rights and due process to one vulnerable group, everyone’s rights are at risk,” Herat said. 1April 2017 nationwide survey conducted by the Asian Pacific Institute on Gender-Based Violence (API-GBV) in coordination with partner organizations.